Tantré has been an organic farm since 1993 and now runs a CSA with over 300 shares and supplies produce to markets and restaurants in the Ann Arbor and Detroit areas. David met the owners, Richard Andres and Deb Lentz, and started farming with them as a teenager, periodically returning from his adventures on the high seas here to Chelsea, MI, as a home base. Tantre’s abundance of cabbage in 2010 launched David’s first batch of sauerkraut. Richard and Deb would later go on to further their mission to produce and distribute fresh, organic produce, while serving as an educational, sustainable, and social network for our surrounding community by founding the Washtenaw Food Hub with The Brinery as the anchor tenant in 2014. Our neighbors to the north, Reid Johnston founded Second Spring, a certified organic vegetable farm, located near Traverse City, MI, in 2008. Before he headed up there, Reid started farming in Chelsea, MI, where he met David. Every January we look forward to Reid bringing us the cabbage, parsnips, and carrots for our Up North Kraut, a seasonal favorite. The Student Organic Farm is a student-initiated project. In 1999, a group of students at Michigan State University saw an opportunity to apply the things they were learning in class and get their hands dirty. 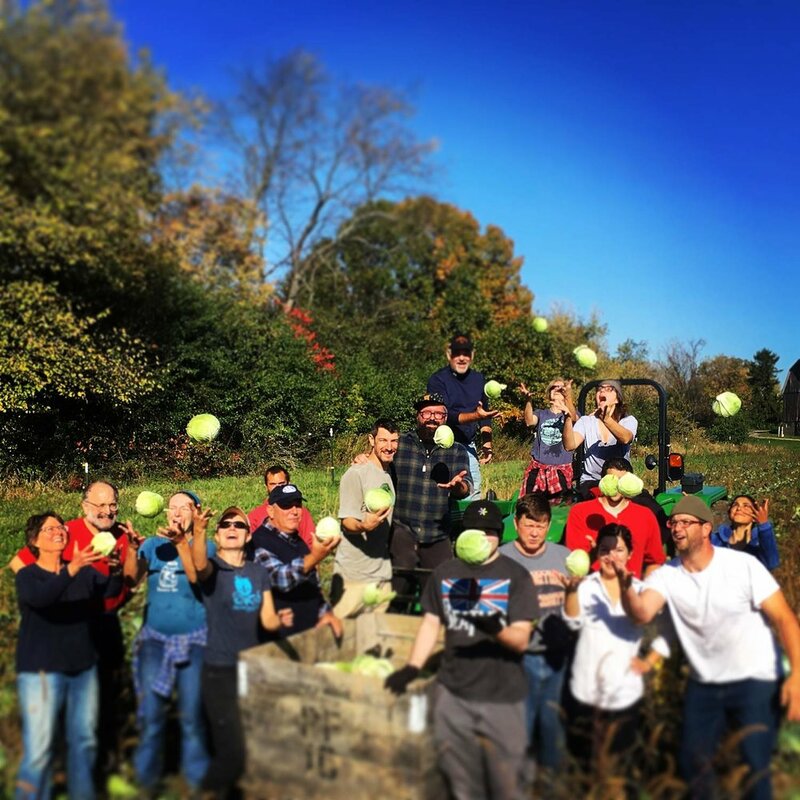 In addition to growing a large portion of the Brinery’s produce, the student farmers come to the Brinery once a year to make a barrel of MSU kraut and learn about farmer relationships with value-added producers. Pregitzer Farm Market started as a roadside stand in 1996 and eventually developed into a CSA program that allowed Wade Pregitzer to realize his dream of becoming a full time farmer and educator. In 2013, Wade expanded his operation and began growing cabbage and hot peppers for the Brinery, working with us to find the tastiest and hardiest varieties for our products, grown just 30 miles down the road in Munith, MI. Our neighbors to the south, Wayward Seed Farm provides heritage and heirloom vegetables to Central Ohio and the surrounding communities. We source certified organic hot peppers for all of our spicy sauces from our friends at Wayward. Top quality in both produce and people!